We will be recording a "Mailbag" episode" this Wednesday where we interact with your questions and ideas. 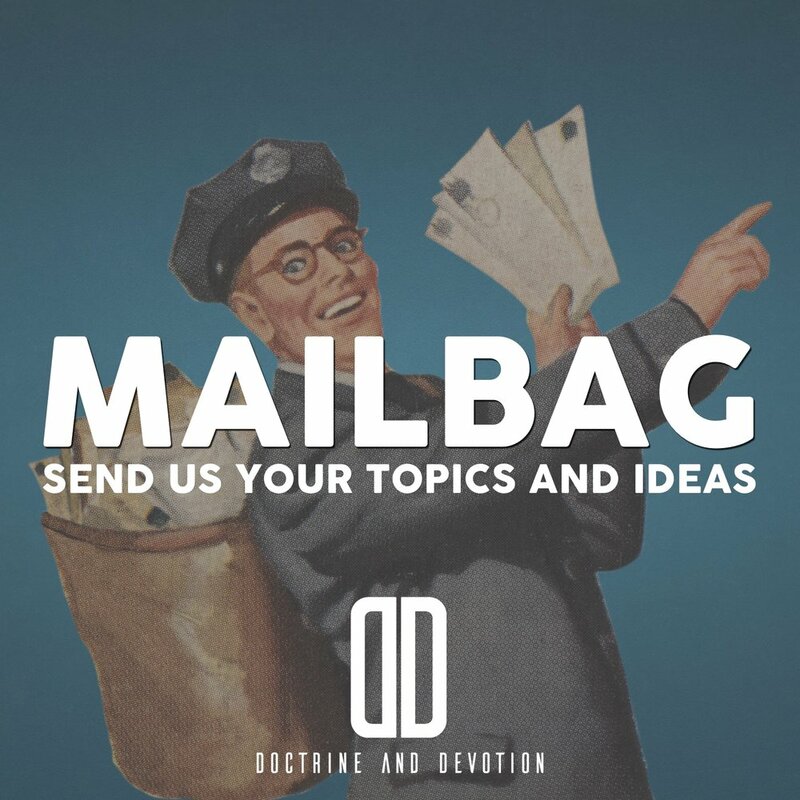 Let us know what you want us to talk about by Wednesday, July 27 and we may include it in our first Doctrine & Devotion Mailbag. Send us your thoughts via our Contact page or any of our social media accounts.